Are you using the full range of tools that NHS Jobs gives you? Did you know you can create different user roles to delegate parts of the recruitment process to your team and support your ways of working? Senior Service Delivery Manager, Lynn Scott, shows you how. 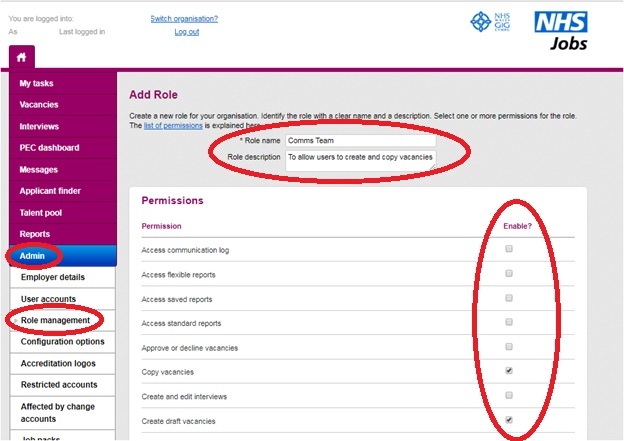 Our users often ask how they increase permissions for recruitment officer roles. 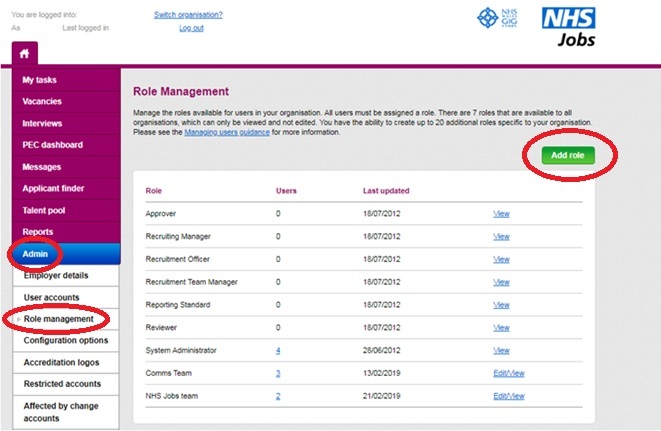 The NHS Jobs platform gives your system administrator the ability to create up to 20 custom roles to transfer permissions to other users. This means you no longer have to rely on your system administrator to manage all the tasks in your recruitment journey, saving you time and speeding up your recruitment process. There are seven standard roles set up in your account for Recruiting Manager, Recruitment Officer, Approver, Reviewer, Recruitment Team Manager, Reporting Standard and System Administrator. Check out the Managing users guidance in your System Administrator Training Materials for more information on managing and administering user roles and permissions. 1 – Select Role management from the Admin menu, then click on Add role. 2 – Enter your role name and description and use the tick boxes on the right-hand side to enable permissions. Then click at the bottom of the screen. 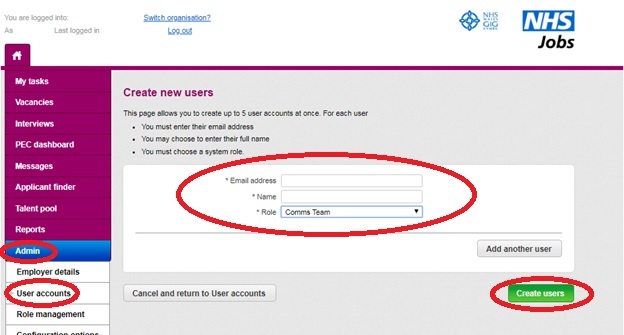 3 – From the Admin menu, select User accounts and then add users. This will take you to the Create new users page. Enter the new user details, including name and email address. Your custom roles will appear in the drop-down menu. Select the relevant role for your user and click Create users. Your user will receive an email with information on how to log in to NHS Jobs. You can create up to 5 new user accounts at any one time. Have you tried to create new users and change user roles and permissions in NHS Jobs? We’d love to hear your feedback on how this works for you.